If you’re like most of us, you like to use the latest technology to help you puff on best quality oils and juices you can find. Sometimes learning how to maintain new technology leads to some unexpected questions like “do I change the oil in my new Tesla”. Well we are hearing from our customers that they are sometimes unsure how to go about filling their glass vape cartridges and we thought this would be a great thing to walk through. Keep in mind this is a bit different then how you fill a traditional vape cartridge. The mouth piece has a gasket on the inside that presses against the tempered glass cartridge. On the inside there is a thread that keeps this gaskets firmly in place, ensuring that the cartridge does not leak any oil or juice. After about 3 full turns counter clockwise, the thread should be free from the threads in pole in the middle, however, it will still seem in place. After 3 full turns the mouth piece should easily slide off of the inner gaskets on the center pole. If it doesn’t give it another little twist and pull gently. Once it’s off, make sure that you put the mouth piece somewhere safe. I always lose little things like that. Head to your favorite e-juice supplier or recreation shop and pick up your favorite flavor. 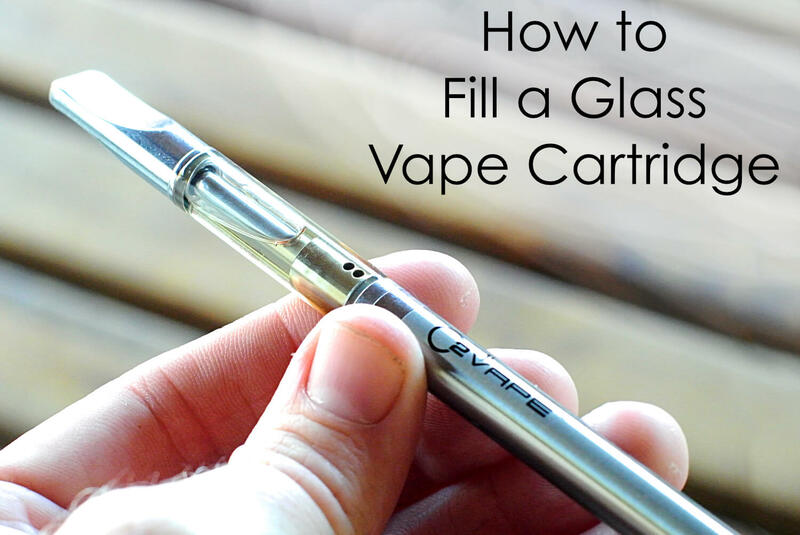 Use the syringe or dropper to drip the oil or juice down in between the center pole and the glass while keeping a steady hold on the vape pen. I like to have the cartridge attached to a pen because it is easier to hold and control then just a cartridge alone. Also make sure that you don’t overfill. Our cartridges come in 1ml glass cartridges and .5ml glass cartridges so be ready. The 1ml can hold about 1 gram of oil or juice. You know exactly where that little mouthpiece is, so grab it and gently push it back onto the pen. Make sure it is firmly against the threads on the inside. Turn the mouth piece clockwise and after about 3.5 turns you’ll notice that it’s getting firm. You want it to be firmly on there but it’s not necessary to over do it. If you need to fill large numbers of our glass cartridges like our vape pen wholesale clients, you will need a cartridge filling machine. Luckily you can also find those from O2VAPE. Just give us a call and ask for information. You can also see more about our vape filling machine right here. These have to be made with specifications that are unique to what is use on poly carbonate or traditional dual chamber vape cartridges, we have the best of both kinds for you at fantastic prices. For answers to more of your vape pen questions, see our Vape Pen FAQ.